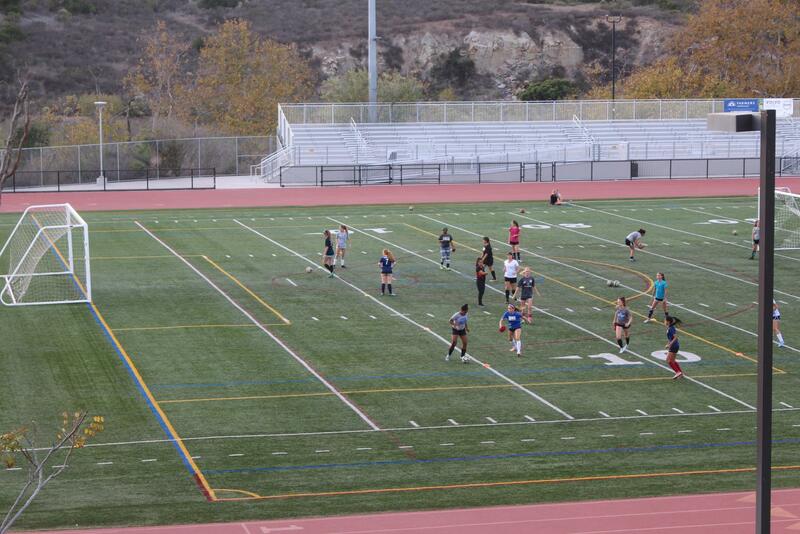 The jv girls soccer team practices to prepare for their upcoming season. There were a large number of girls that showed up for tryouts and many of them have been incorporated into the team. After a day of work, counselor Megan Corazza spends her time running on the track alongside many student-athletes. You can find Corazza running laps around the track or out on the nearby trails on occasion after school. 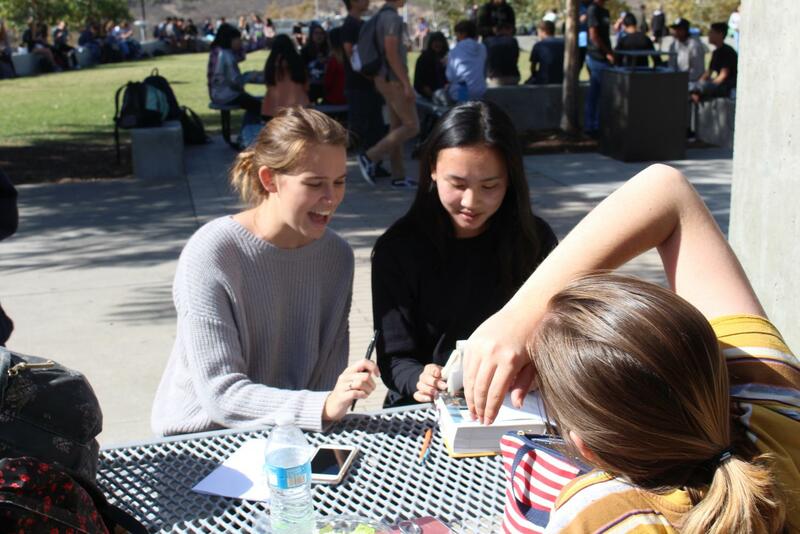 Seniors Tess Tran and Julia Hamilton utilize their lunch period to study for finals and get last minute help from their friends. This has been a common custom for Sage Creek students as they prepare to do their B.E.S.T. 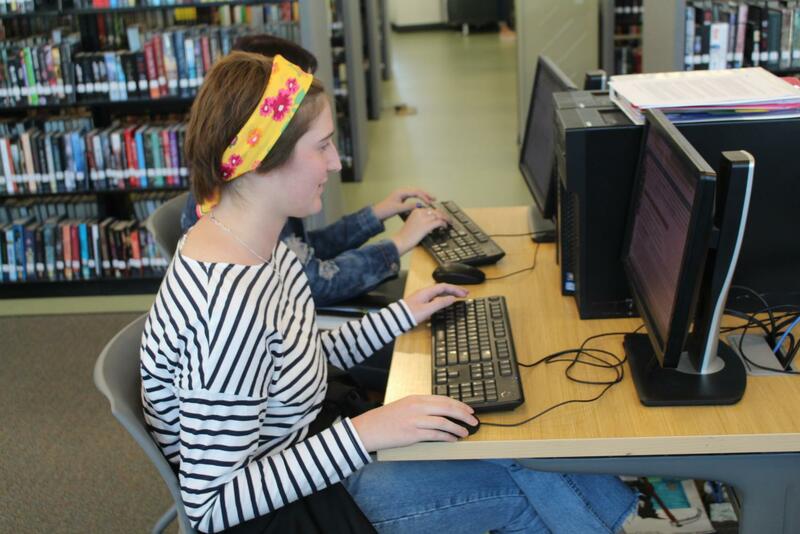 Senior Angela Prvulovic takes advantage of her resources by using a library computer to review her classes before exams. The library was open throughout the whole week in order to provide students with a quiet place to study. Seniors Gray Hatter and Samantha Blackburn study for finals in the library. This week, many students made good use of their time by studying in the library during break periods. 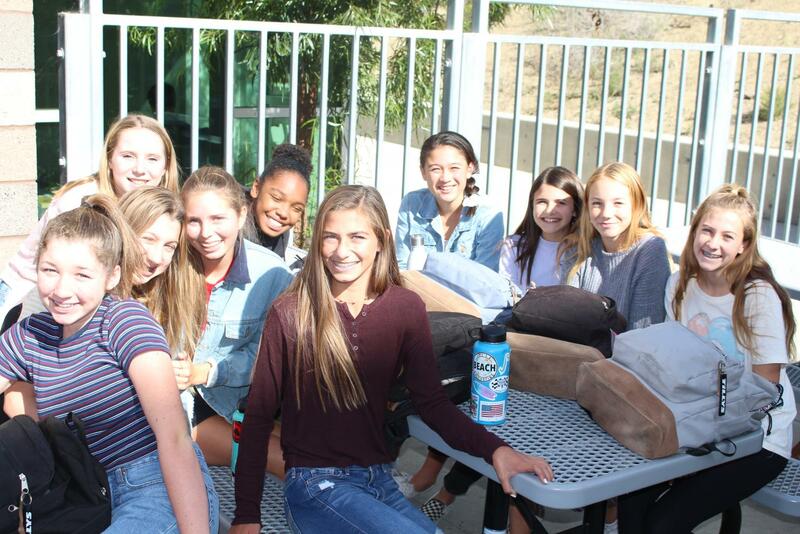 A group of freshmen girls enjoy their lunch together as they prepare for their first week of high school finals. Many freshmen were very unsure of what to expect and were quite nervous, but they successfully completed a full week of exams. I’m sad to say it but I hate the way this portrayal has become. It’s all “Finals week! Study study study!” The sports section is never a disappointment but can you guys not… it just sounds droning and creepy when you guys talk about stuff like ‘utilizing resources’ like it’s a university or an office. I just want you guys to put some sugar on it. Make school seem like it’s not all about work (by the way I love the freshman girls photo). Do me a favor as I’m gone, guys. Please.